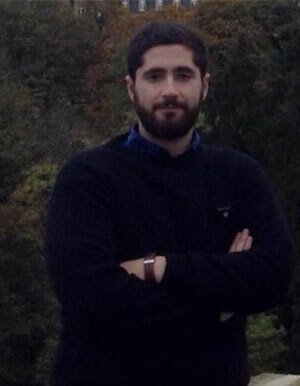 Angelos Kaskanis is a young researcher in Democritus University of Thrace under scholarship from the Hellenic Foundation for Research and Innovation. His field of Research is International Public Law and the impact of International Terrorism in Southeast Europe and Caucasus. He has worked as a research assistant with the Municipality of Eastern Macedonia and Thrace, in Komotini, as a project assistant in Youth NGOs in Ankara and as a Project Coordinator with Save the Children/under UNHCR mandate in Kos and Leros Islands, during the Refugee Crisis. In addition he has participated/co-organized several workshops in more than 20 countries that focus on Religious Extremism, Eadicalization, Safety and Security in Southeast Europe, European Identity and Greco-Turkish Relations. Regarding his studies he holds a degree from the School of Humanities/Department of Black Sea Studies University of Democritus/ Thrace and also a Master in International Law/ Southeast Europe Studies from Law School of Democritus University of Thrace. In conclusion he is member of Hellenic Institute of Strategic Studies and speaks Greek, English, Russian, German and Turkish.